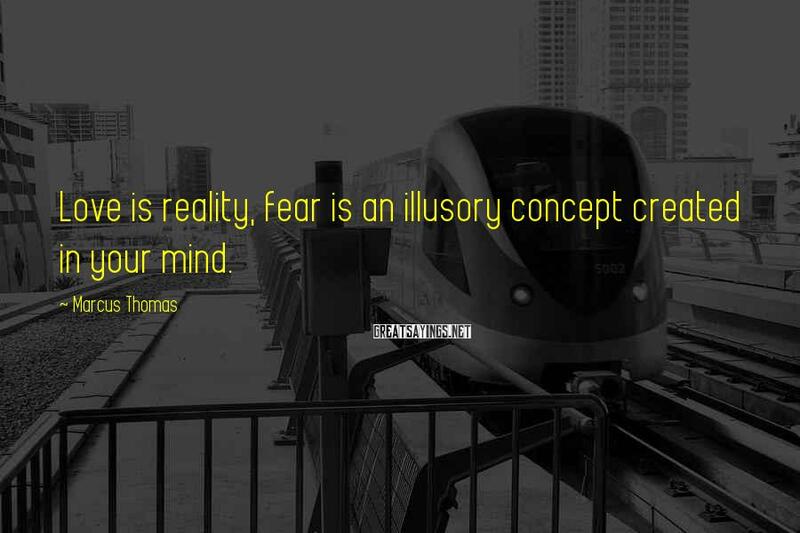 8 Marcus Thomas Famous Sayings, Quotes and Quotation. 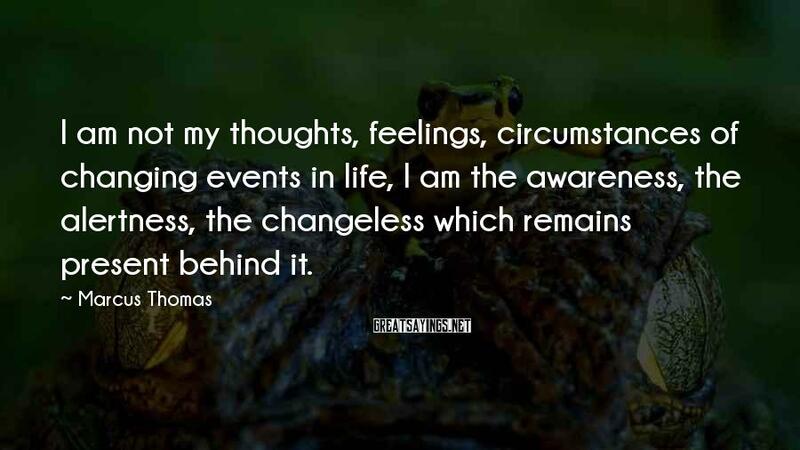 I am not my thoughts, feelings, circumstances of changing events in life, I am the awareness, the alertness, the changeless which remains present behind it. 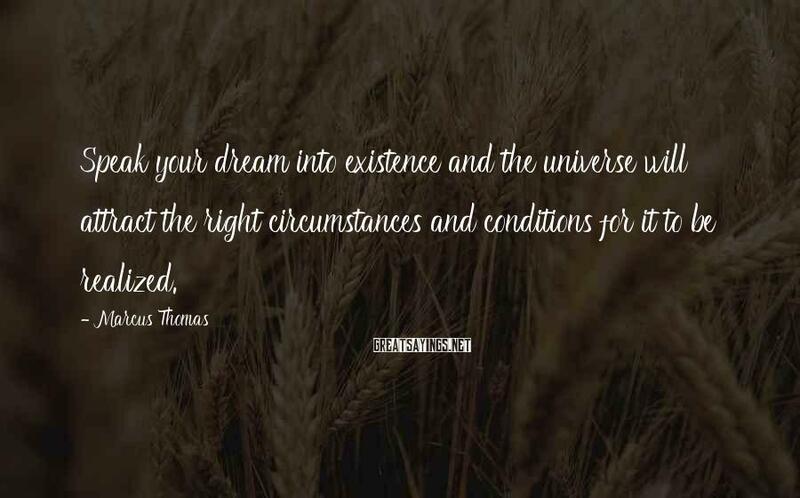 Speak your dream into existence and the universe will attract the right circumstances and conditions for it to be realized. Whoa! 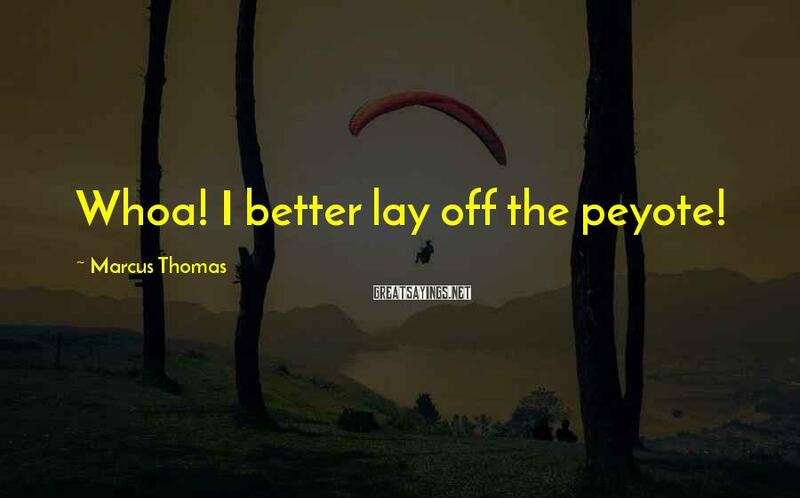 I better lay off the peyote! 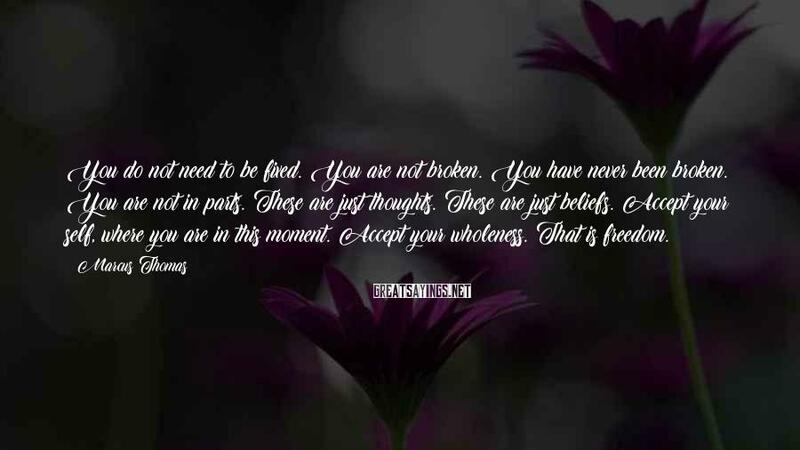 You're all Buddhas, pretending not to be. You're all the Christ, pretending not to be. 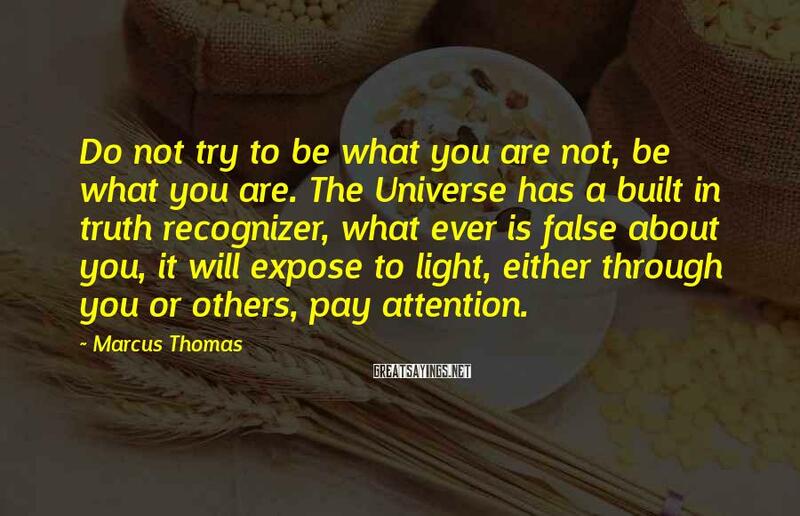 You're all Atman, pretending not to be. You're all love, pretending not to be. You're all one, pretending not to be. 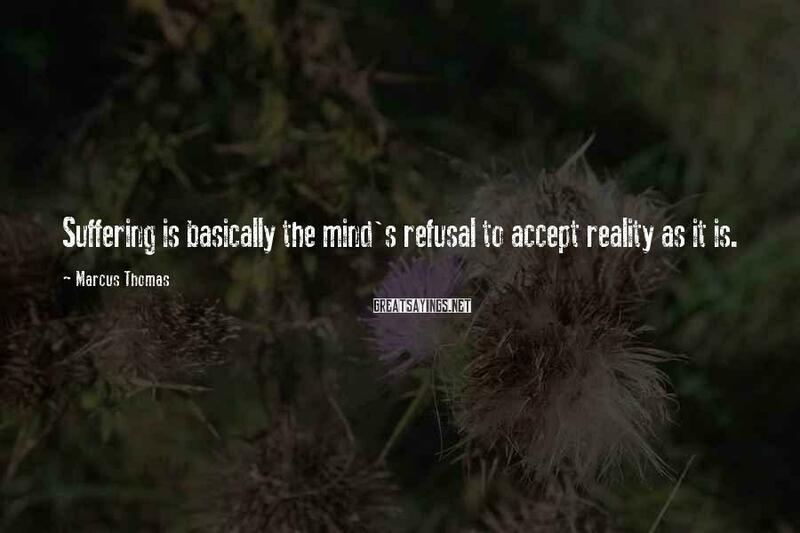 You're all Gurus, pretending not to be. 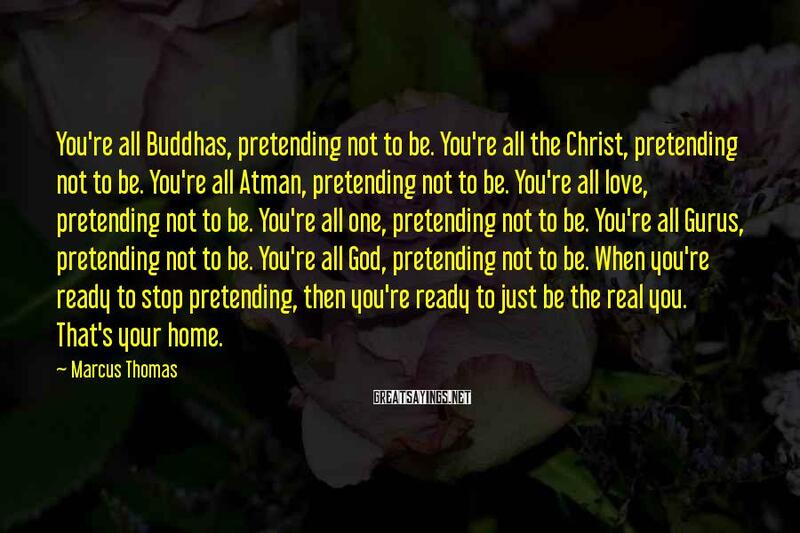 You're all God, pretending not to be. When you're ready to stop pretending, then you're ready to just be the real you. That's your home.